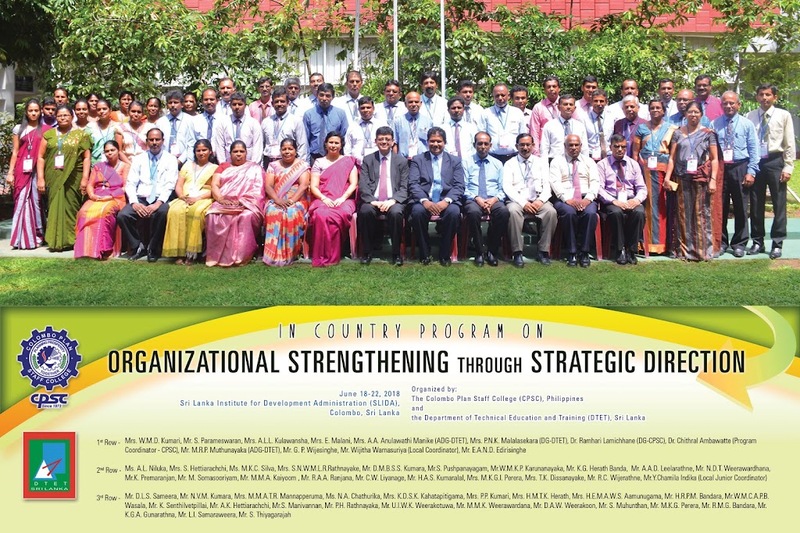 The Department of Technical Education and Training (DTET) and the Sri Lanka Institute for Development Administration (SLIDA) worked with CPSC to deliver this year’s in-country program to 46 participants composed of Directors of Colleges of Technology (CoTs), principals of Technical Colleges (TCs), lecturers, Instructors, Administrators, Directors and DTET Deputy Directors. 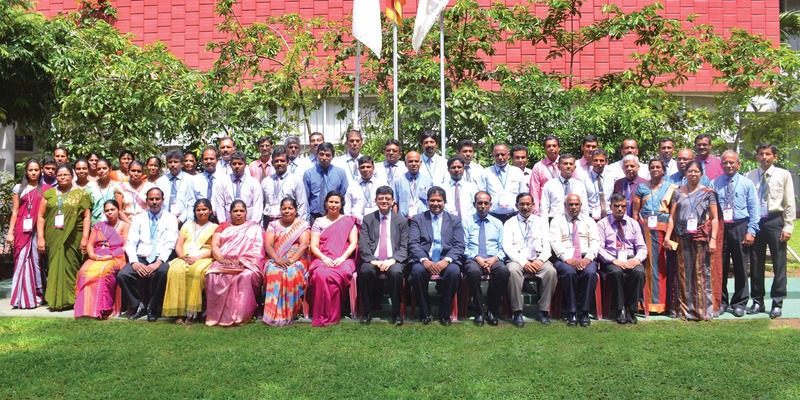 The program was held from June 18-22, 2018 at SLIDA’s campus in Colombo. This program elaborated on the benefits and processes of formulating a strategic management in setting both long-term and short-term strategic directions for the organization. The organizers expected that by learning the process of strategic planning and management, a systematic way of carrying the interrelated activities is undertaken to obtain the desired goals and objectives. The opening ceremony started with a lighting of the oil lamp symbolizing good luck. This was witnessed by officials from CPSC and DTET CPSC’s planning team is composed of Dr. Ramhari Lamichhane, the CPSC Director General, who also supervised the program and Dr. H. Chithral Ambawatte, who acted as a Program Coordinator and main Resource Person. DTET provided their support to the program through Mrs. P.N. 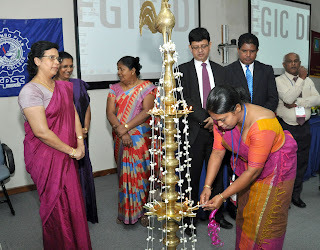 K. Malalasekara, the Director General, who acted as a co-supervisor of the program and Mr. W.K. Warnasooriya, who facilitated the logistical requirements as the local coordinator. They were assisted by CPSC’s former intern and the current Development Officer at DTET, Mr. Y. Chamila Indika. The officials and guests were welcomed in the opening ceremony held on June 18 attended by 75 persons, which included all program participants in addition to the staff of SLIDA. The opening ceremony provided an opportunity for CPSC, DTET and SLIDA officials to relay messages of support and good wishes to the participants for the next five days of training. Participants during one of their tasks. The officials and guests were welcomed in the opening ceremony held on June 18 attended by 75 persons, which included all program participants in addition to the staff of SLIDA. The opening ceremony provided an opportunity for CPSC, DTET and SLIDA officials to relay messages of support and good wishes to the participants for the next five days of training. The classroom lectures focused on the crafting and formulation of SWOT (strengths-weaknesses-opportunities-threats), vision, mission, goals, objectives, strategies and activities. These will be used as inputs to the formulation of the logical framework and aid in the improvement of the current institutional development plans being implemented by the respective institutions. In addition to classroom lectures, a study visit to the National School of Business Management (NSBM) - Green University Town was embarked on June 20. According to their website, NSBM Green University Town “is the first ever green university in South Asia and sets an example for the whole South Asia by paving the way for environmental sustainability”. The participants were able to embark on a tour of its facilities and aided them in their exposure of the operations of a sustainable educational facility. To further supplement the lessons in institutional strategic planning, a national seminar on Quality Assurance was held on June 21 at the SLIDA Auditorium. A total of 60 persons attended the half-day event which tapped experts from the field of quality assurance. 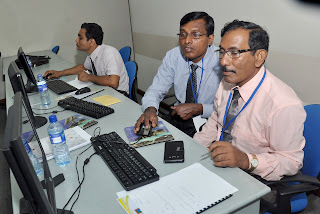 (Left photo) Dr. Ambawatte giving a lecture on strategic planning to the participants. 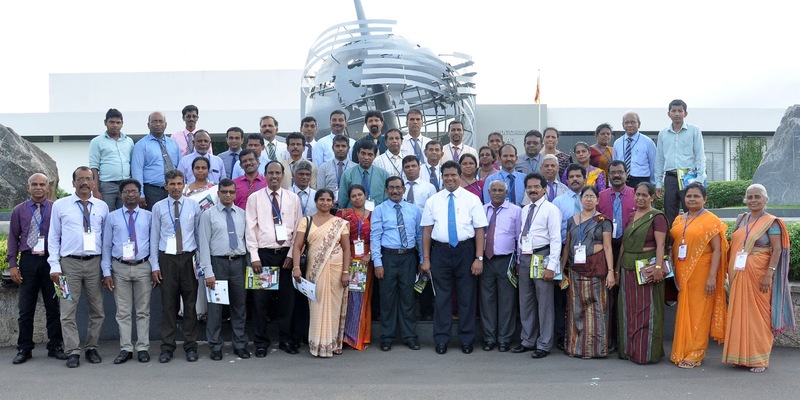 (Right photo) Participants visiting the campus of NSBN in Pitipana, Sri Lanka. (Left photo) Dr. Lamichhane delivering a lecture about APACC accreditation during the national seminar. (Right photo) CPSC Officials Presenting the speaker’s certificate to Mr. Samantha Rathnayake of UoSJ.